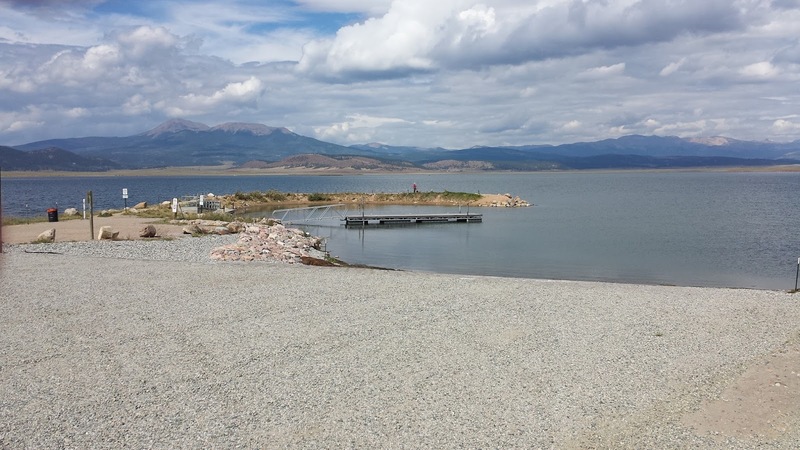 I have officially found my favorite (so far) camping area in Colorado -- Antero Reservoir just west of Hartsel, CO along CO HWY 24 in Park County. Camping is only allowed on the South side of Antero. 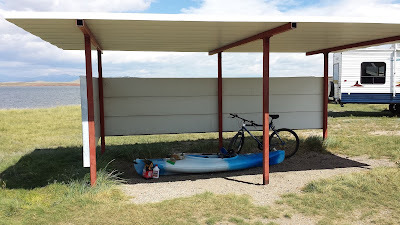 Take the second Antero turn in off 24 which gets you to the South side where camping is allowed after a bumpy 1.5 mile drive along the gravel road. 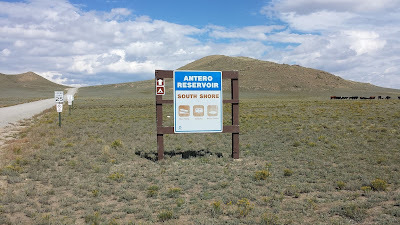 Antero (derived from First in Spanish) was the first reservoir created by the first dam on the South Platte River. It's owned by Denver Water and supplies drinking water to Denver, 140 miles away. The dam was built in 1909. 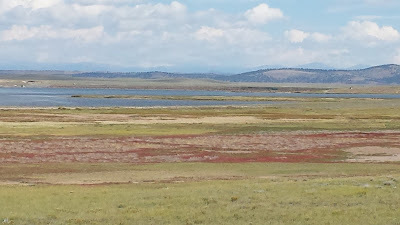 In 2005 the reservoir went completely dry due to drought but was resurrected in 2007 and restocked with several species of trout. Antero from the South Shore. At an elevation of 8942 ft the temperature here is mid-70's during the day and mid-40's at night, quite a change from the mid-90's last week at Pueblo! There are 38 campsites distributed on a first-come first-served basis at NO CHARGE. 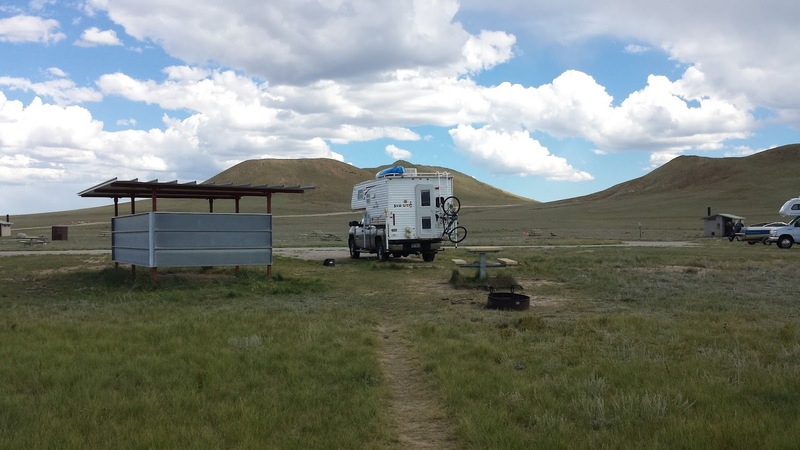 Campers are allowed to stay up to 14 consecutive days then must vacate Antero for at least 7 days before returning. The South Shore boat ramp and a pier you can fish from. I got to Antero on Friday at noon and it was already filling up. I was lucky enough to get the last campsite backing up to the reservoir. The Tank taken from the water's edge. Each campsite has a steel picnic table and a fire ring. 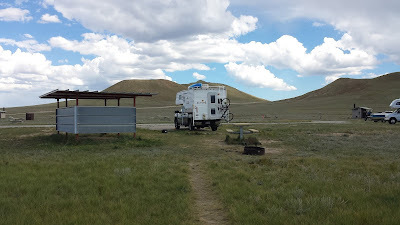 No hookups at all, this is boondocking so bring everything you'll require, including fresh water. Ironically, even though you're camping next to a reservoir, there is NO potable water at Antero. There are several vault toilets in the camp ground and plenty of trash bins which get emptied frequently. Several sites have this handy storage structure included. The Tank's solar system has been working great. Each morning from a 50% charge state the solar panels get the battery to 100% in about 90 minutes even while at the same time charging up my cell phone. The system has no problem keeping up to laptop useage during the sunny days. 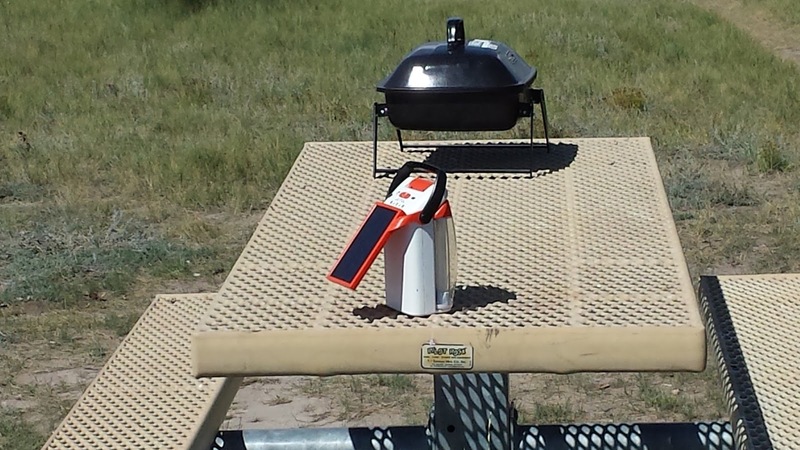 This solar lantern is a great way to take load off the house battery. Verizon 3g comes in at 2 out of 5 bars and Millenicom Internet comes in at 4 out of 5 bars. 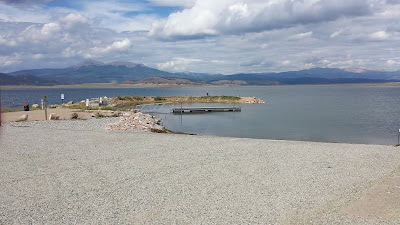 14 consecutive days of FREE quality reservoir camping is an incredible deal, I almost kept this review to myself! The weather at Antero is such a welcome change for the better you'll want to bring enough food and water to last as close to 14 days as you can. 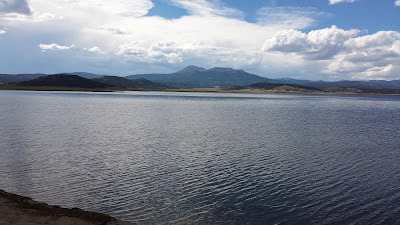 I've witnessed many fisherman exiting the reservoir with 12-14 inch brook trout on stringers. When I kayacked on the reservoir the water is so clear you can actually see trout! A small island off the South Shore of Antero. 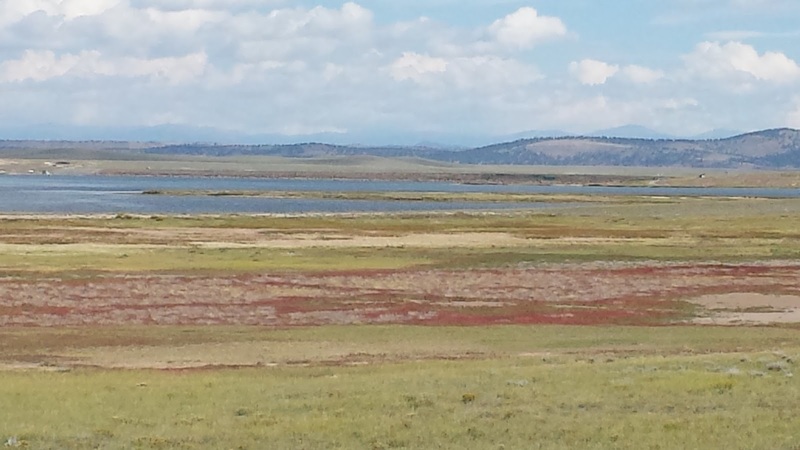 Make plans to camp on Antero Reservoir's south shore, you'll never regret it!